Stay in a traditional oak cottage and pick from this range of activities and excursions we have selected from the surrounding area to make your holiday here complete. As well as its famously beautiful Adriatic coastline and islands, discover what else a Croatia holiday has to offer. Varaždin. The starting point for your holiday. Take a tour of this gem of a baroque town centre, its charming renaissance squares, palaces, baroque churches and ancient castle. Take a Minty’s Choice guided wine tour, truly a highlight of your holiday to Croatia. Our local vineyards are small, tended by generations of families who haven’t yet succumbed to established ideas about the “right” way to make wine. Wines draw their distinctiveness from hill to hill and from farm to farm. Sealed with cork or bottle cap, the wine will be bursting with fruit, fragrance and sunshine. ” . ..Croatia really was the discovery of this year: some great white wines, both both dry and dessert with bags of character and a whole bouquet of varieties and styles …. They are, no question, up with the great Sauternes” Angela Muir, Master of Wine, Decanter World Wine Awards. For a great day out, a tour of the best preserved and picturesque castle in Croatia remodelled in the Romantic revival style and compared to Ludwig of Bavaria’s Fantasy Castle Neuschwanstein. Take a leisurely stroll around its ornamental lake and gardens, tour the castle followed by a drive up Ravna Gora to its peak for a picnic lunch with wine and stunning views over Slovenia and Hungary. Treat yourself to the ultimate in relaxation and pampering with a trip to Lake Heviz in Hungary, Famous for the therapeutic properties of its thermal waters since Roman times it is the largest biologically active, thermal lake in the world. Experience for yourself the rejuvenating effects of its warm, forest fringed waters and try out some of the spa therapies and beauty treatment on offer at this spa resort. These include aroma massages, Finnish sauna, steam bath, ice cave, salt chamber, sink pool and Jacuzzi. Soak up the atmosphere in one of Europe’s trendiest and most vibrant capital cities in the company of one of our expert guides. Discover the distinctive charms of what is really two towns, Upper and Lower towns, connected by a historic funicular railway. Choose to go by skegway, bike or foot and let a local guide tell you the story of this fascinating city and show you their favourite places including the famous Tkalciceva Street with its street cafés, restaurants, gourmet shops and galleries. 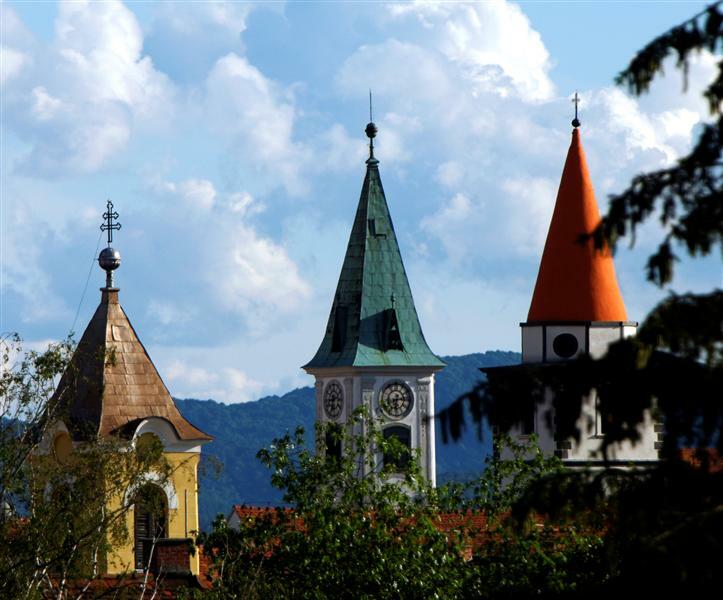 Varaždin is an ideal base for an activity holiday. Situated by the river Drava it is surrounded by the gentle foothills of the Alps. Cycle or trek through vineyards, villages, forests and hills past ancient forts and castles to the highest points in the county for spectacular views over the borders to Slovenia and Hungary. Additional options include an introduction to simple rock climbing or scrambling at Kalnik, a thirteenth century ruined castle with stunning panoramic views of the Pannonian plan. Relax to the ancient rhythm of Lonjsko Polje the largest protected wetland area in the whole Danube basin and home to the rare Posavina horse and the swimming Turoplje pig. Village life here with its distinctive wooden architecture offers a fascinating glimpse into a bygone age. Nowhere else can you witness the kind of cultural life and heritage that, until the end of the 19th century, was still typical of many parts of Central Europe; a rare example of man and nature working in perfect harmony. From April to end of August you will see the white storks in Čigoć, a ‘European Stork Village’ (‘a must see’ – Rough Guide), with their nests delicately balanced on the roofs of the old houses. Take a day trip to Plitvice Lakes National Park a UNESCO world heritage site and truly one of the natural wonders of the world. The oldest national park in Southeast Europe and the largest in Croatia covering 300 square kilometres it contains sixteen lakes linked by a series of spectacular waterfalls. Set in deep woodland it is home to the European brown bear, wolf, eagle, owl, lynx, wild cat and over 120 species of birds. Words cannot convey its beauty. Just go! Discover inland Croatia with Minty's Choice. For discerning travellers who prefer their holidays off the beaten track. Visit Croatia's beautiful interior; its sparkling rivers, ancient wetlands, spectacular mountains, baroque castles and palaces, great wines, thermal spas and its vibrant, trendy capital Zagreb.